If you have a hunch that the RVing lifestyle is right for you, the next step is to take the plunge and purchase that first rig. This can be a ton of fun—but it can be a ton of stress, if you aren’t prepared. Shopping without a plan is like taking a road trip without a map: You can waste a lot of time and get nowhere fast. If you’d like a smooth journey to your next RV purchase, follow these tips, and soon, you’ll be in the fast lane to your dream destinations. RVs can range anywhere from less than $500 to over $500,000. Start your purchasing process by deciding how much you can comfortably afford to spend. Expect to pay more for a motorized rig than a trailer. Expect to pay less for a popup or hybrid. Used RVs may be a great deal if you’re comfortable handling potential repairs. The good news is that there is something for almost everyone at every budget level. If you are purchasing a pull-behind rig, you need to understand the tow capacity and payload capacity of the vehicle you’ll be driving. This set of numbers is just as important as your financial figures. Don’t rely on the RV dealer or an anonymous guy in an RV forum to tell you what you can safely tow. Instead, look inside your vehicle for the certification plate, check the owner’s manual, or use your VIN number to get your specs from the manufacturer. If you are purchasing a motorized rig, you’ll need to verify how much weight it can pull if you plan to tow a vehicle behind it. Similar to the range of RV prices, there is a wide range of RV sizes, from tiny teardrops to mammoth fifth-wheels. Length matters when you consider how easily the RV will be to navigate down the roads and through the campgrounds. It also matters when booking campsites. Here’s a pro tip: If you’re planning to camp in state and national parks, keep your rig under 30 feet. Many public parks are not set up for today’s long RVs. Some people are happy to make up a dinette bed every night, while others find this to be an insufferable chore. Be realistic about where you’ll fall on that spectrum, and find a rig that has adequate sleeping spaces for your family. Will you be traveling with pets, lots of gear, or tons of clothes…or do you tend to keep it to the minimum? While touring RVs, it’s important to check out the cabinets, closets, and storage compartments to see if there’s a place for everything you plan to haul along. Once you know your ideal length and number of beds, you can narrow in on floor plans that fit your needs. Consider how much time you’ll be spending inside the RV. Will a small, cozy space be functional, or would you prefer to live large? Think about food preparation. How much counter and fridge space do you prefer? Even the bathroom layout can vary greatly. Can you live with a wet bath, or do you want a separate shower or tub? Try to imagine doing all of your day-to-day activities with your family in the RV. If you plan to boondock (camp without electric, water, or sewer hookups) or if you plan to camp during all four seasons, you are going to want a rig that can accommodate these camping styles. For boondocking, you’ll want larger holding tanks for fresh, grey, and black water, and you might even want an RV that’s already prepped for solar power. If you are planning to camp year round, look for a rig with extra insulation and enclosed underbellies. If the RV you are considering has slides, the interior will change drastically with the slides in. Of course, you won’t be spending a lot of time in the rig like this; however, you may do so more than you’d expect. Perhaps you’d like to park at a roadside park and prep lunch or use the restroom, or maybe you will need access to some of your storage during the winter months. 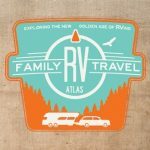 Whatever the case may be, try out the RV in “travel mode.” If you’re looking at an RV on a dealership lot, don’t be afraid to ask them to pull the slides in, so you can check out the interior. While RV shopping, it can be easy to focus on the bling, like the large farmhouse sink or the chic décor; however, you can always add your own bling after you buy the RV. What you can’t easily do is change things like length, layout, beds, or tanks. Thinking through the tips above will ensure you find an RV that meets most of your needs and many of your wants.